Are you feeling increasingly tense, irritable and exhausted? Do you want to learn simple but profound techniques for reducing stress, overwhelm and physical anxiety – without the use of drugs? Invest in your wellbeing today with The Stress and Autostress Workbook (Second Edition). Unlike traditional paperbacks, you can print and reuse our digital tools as many times as you like! We understand taking action to improve your mental health can be daunting. But with the right tools, it needn’t be that way. Review a comprehensive list of signs of stress and clarify the impact stress has on your mind, body and behaviour. Create an overview of your stress response and gain insight into how stress affects you personally. Learn 13 common stress triggers and consider which affect you. Understand the concept of autostress and learn how it can help you understand your mental health. Learn the common signs of panic attacks and how they impact your mind, body and behaviour. Learn the latest scientific research on stress. Discover actions you can take to start reducing your stress levels immediately. Discover 10 powerful methods for transforming and reducing your stress straight away. Discover 14 effective coping statements for reducing stress. 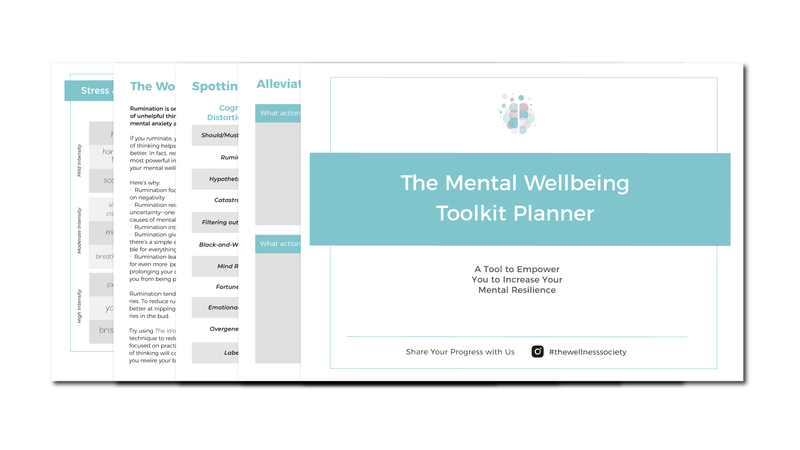 Make a note of your favourite coping statements and use our recommended tool for finding more inspiration. Gain immediate relief from physical anxiety using this 4-step mindfulness-based method. Discover 8 methods for shifting into the tend-and-befriend stress response – shown to lower your heart rate, blood pressure and cortisol levels. Understand how stress affects your breathing patterns and how this maintains your stress symptoms. Learn 4 effective breathing techniques and a free tool to practice guided breathing exercises. Discover 9 mindfulness-based grounding exercises to help you defuse stress in the moment. Work-related stress is one of the leading causes of stress. Discover 7 ideas for how to tackle this issue. Discover this simple but powerful method to help you stop feeling so overwhelmed. Learn a practical strategy for defusing overwhelm, getting more organised, and becoming more productive. Review 21 common safety behaviours and consider which ones you currently identify with. Consider the ways in which you use avoidance. Decide what you want to challenge yourself to face. How Stress-Inducing Is Your Media Diet? Social media and reading the news is associated with poor mental wellbeing. Do this media experiment and understand how your media diet affects you. Learn 4 practical steps for defusing a panic attack in the moment. Discover a free tool to guide you through the waves of panic. Understand the science behind autostress. Review 19 methods for calming autostress and consider which you'll use. Discover tons of inspiration for how to use a mental health day to effectively reduce stress and physical anxiety. 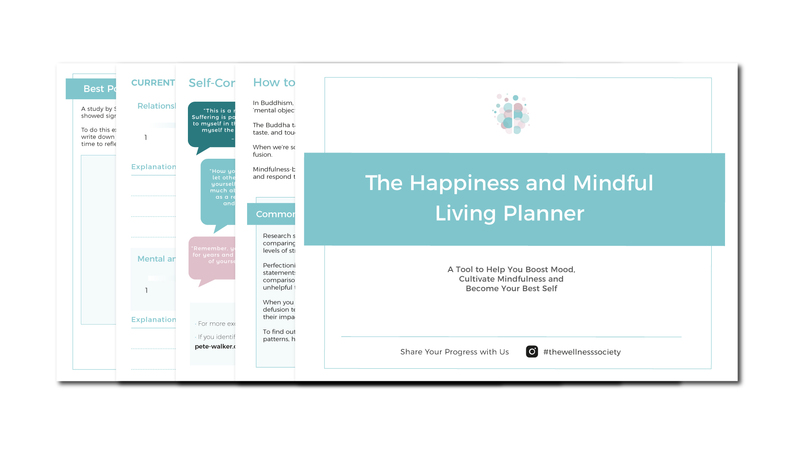 Plan your mental health day and reflect on what worked well for you. Understand the science behind stress eating. Use this 5-step mindfulness-based method to curb stress eating impulses. Discover 8 challenge ideas for reducing stress and autostress. Record challenges and reflect on your key learnings. Review your workbook and compile your action plan for effectively reducing stress and autostress. Small steps lead to big changes! Remember how far you’ve come on your mental health journey with this log. Discover our favourite inspirational quotes and make a note of your own. 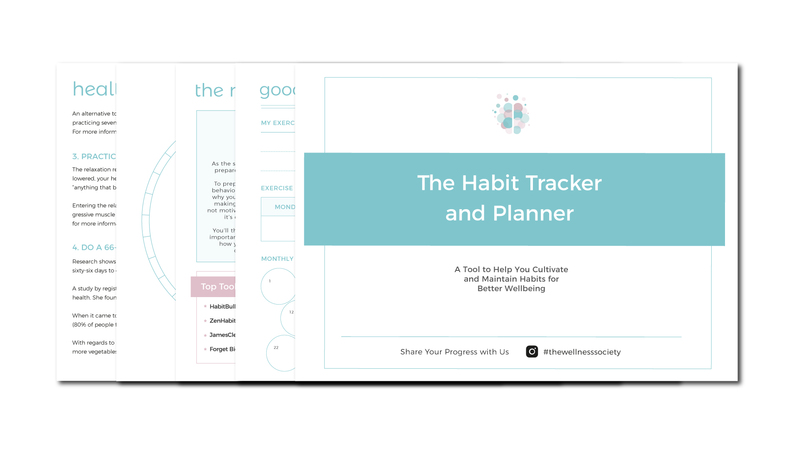 Track your progress and gain insights with this monthly stress tracker. 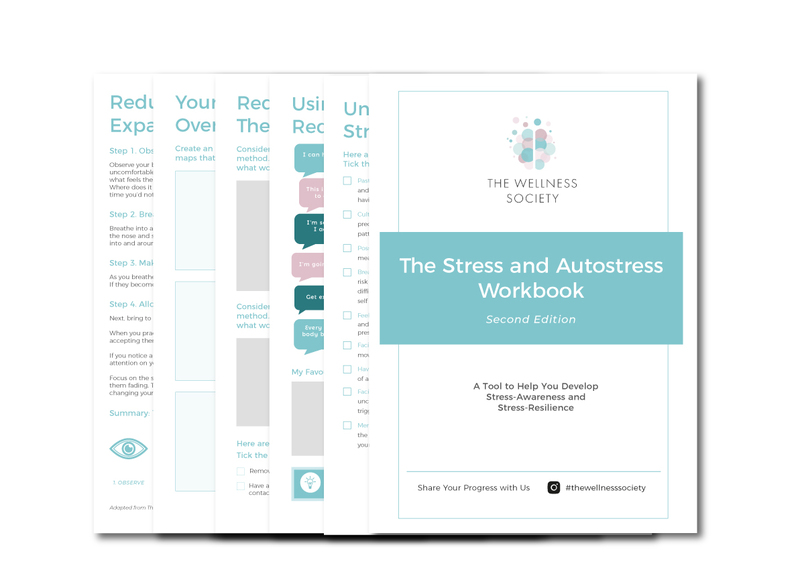 A digital download link for The Stress and Autostress Workbook (38-page PDF) will be emailed to you immediately after purchase.